Are you looking for a free printable Easter coloring sheet? Here’s a fun one! 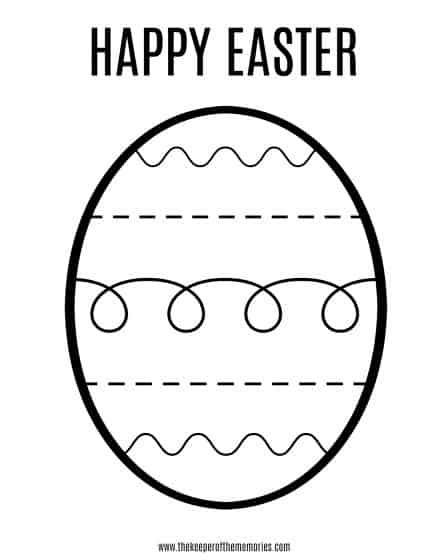 Print it out and decorate your paper Easter egg. 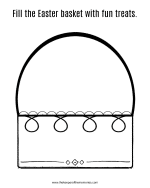 Check out this Easter egg coloring page for Preschoolers. You’re definitely not going to want to miss it! Okay, so not quite. I think it’s supposed to go back down below freezing again this week. Ugh… I could definitely live without the ever-changing weather. It’s been doing a number on my allergies. The weather aside, Easter is almost here and the little guy and I have been doing lots of fun stuff to get ready. We’ve done sensory activities and process art and I made our very first coloring page. I wanted something that would be lots of fun for the little guy, so I put together this free printable for Easter. We printed a few copies and he had a blast experimenting with a few different materials and mediums. He tried Faber Castell gel sticks and Crayola watercolor paints. Needless to say, the little guy loved every minute of it and your little kids will too! 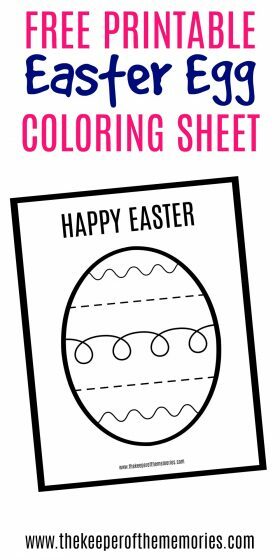 If you’re looking for more free printable Easter coloring pages for preschoolers, then definitely check out these ones too!